The final stop on the Frankston line, Frankston Station is a gateway to the Mornington Peninsula - and the primary transport hub for the centre of Frankston. The project forms part of the State Government’s revitalisation of Frankston and was delivered by the North Western Program Alliance, with construction overseen by the Level Crossing Removal Project. 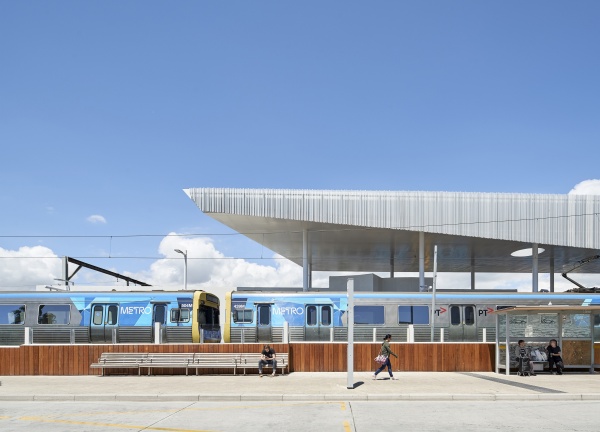 The design - for the Frankston Station re-development, was won by Genton in an open National Design Competition, sponsored by the Victorian Government through the Office of the Victorian Government Architect (OVGA). The brief called for a building that could both satisfy the requirements of a functioning station and improve amenity for commuters. Furthermore, one that could also meet the need for a civic-scale structure, that could respond to the context and revitalise central Frankston. Genton re-interpreted station design principles to create a building and urban precinct that connects with the surrounding streets and reflects the unique coastal identity of Frankston - an identity that has been expressed through materiality and form that reflects the feeling of life in a bayside community. The final project incorporated all new station buildings, including train driver facilities and commuter spaces, as well as an integrated forecourt and surrounding urban space. 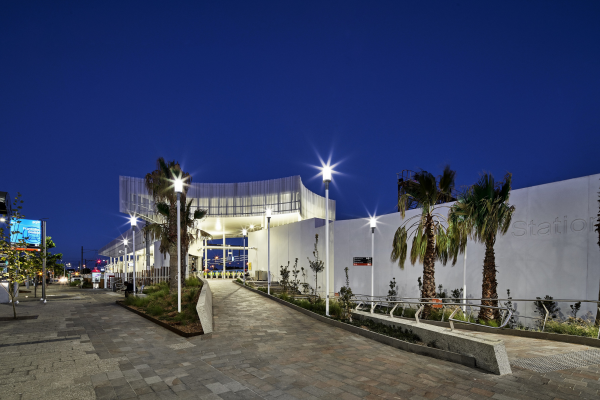 The design is a celebration of Frankston that performs on multiple levels - as a transport hub, a community icon and a catalyst for civic pride and the ongoing rejuvenation of Frankston’s broader Civic Centre precinct. The station re-development is now officially complete. 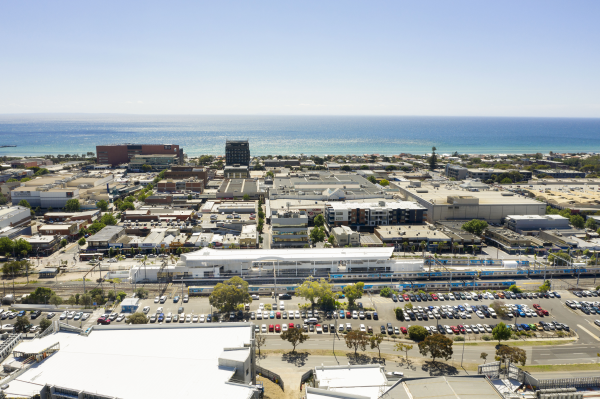 The Victorian Government called for ‘an exciting vision for the development of Frankston Station, to revitalise the station precinct, improve amenity for those who use the station and create a new gateway for Frankston’. Genton won the competition, driven by the idea that the new station could become a continuation of Frankston’s Civic Precinct. The ground plane and station buildings were designed to integrate with surrounding streets, adopting materiality referencing the coastal context and integrating with the newly-upgraded urban square. The new station improves the formerly disconnected public amenities, enhances street presence and, importantly, creates a safer environment. 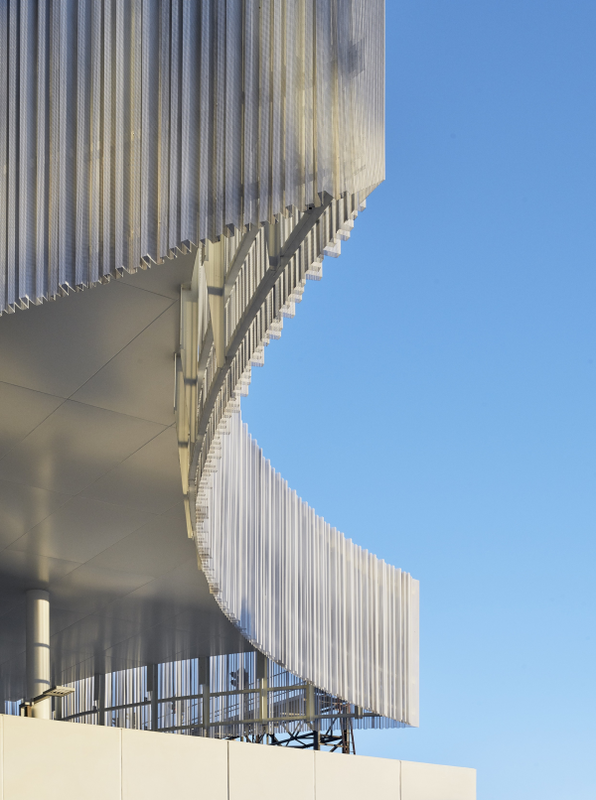 Two key elements allowing the station to both address the city and service commuters are: 1.Canopy: This translucent, perforated metal screen provides shelter, but also the gateway and landmark called for in the competition brief. 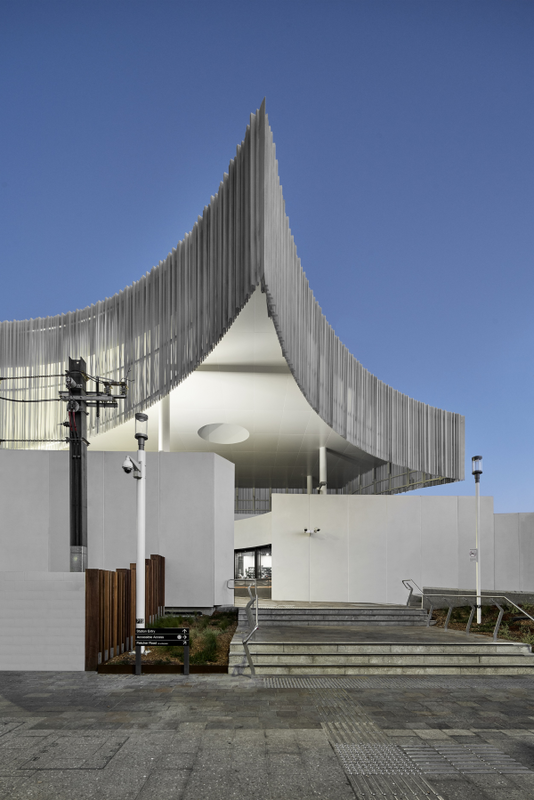 Floating high above the ground plane, the screen embodies the topography of the coastal terrain’s local cliff faces, which are so entwined with Frankston’s identity. 2.Entry/Forecourt: The station forecourt creates a grand sense of arrival to the station and city. 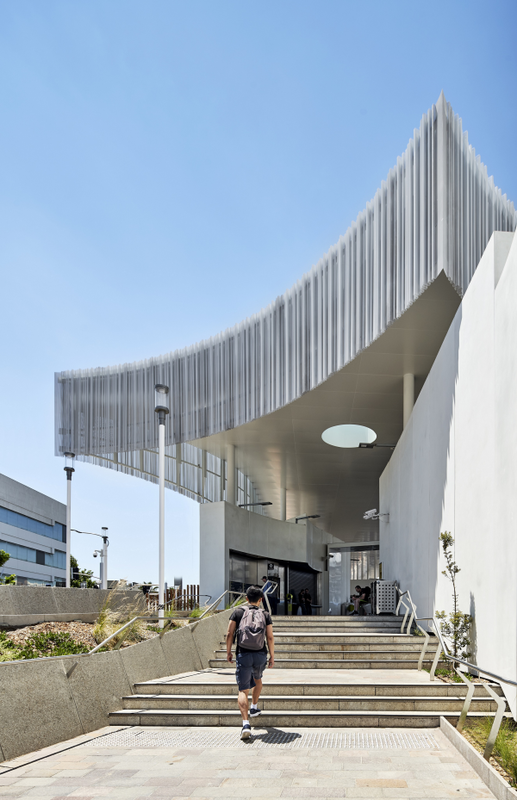 The reorientation of the entry point allows better connection to the street and an unobstructed view corridor from the street, towards waiting trains. This has improved safety and pedestrian flow, by streamlining the process of alighting or embarking services, and passing through the gate line. 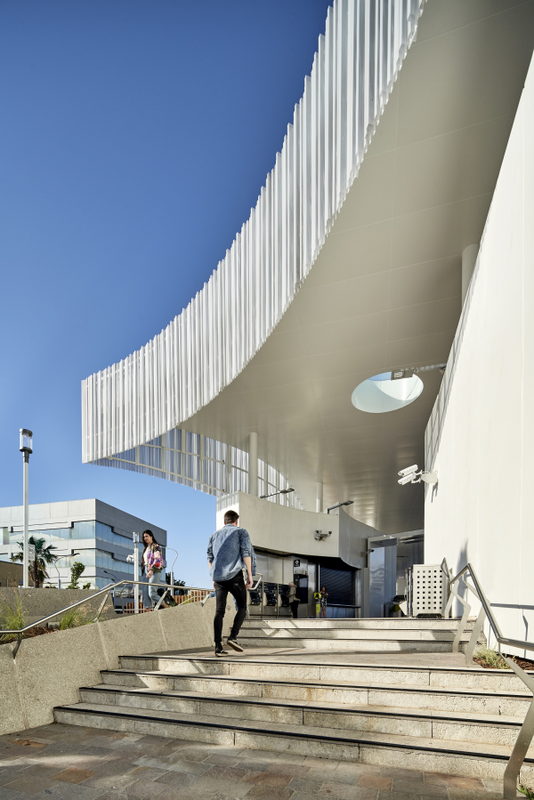 Through creativity, quality and attention to detail, the design creates something unexpected of station design - enabling locals and visitors to experience the Civic Centre in a new, engaging way. Traditionally, station design is focused on the commuter journey and commuter amenities. Frankston’s design approach challenges this notion and demonstrates that, within the same budget, a progressive design can also address its urban context and reflect the unique character of its location to deliver design that serves both commuters and the community. 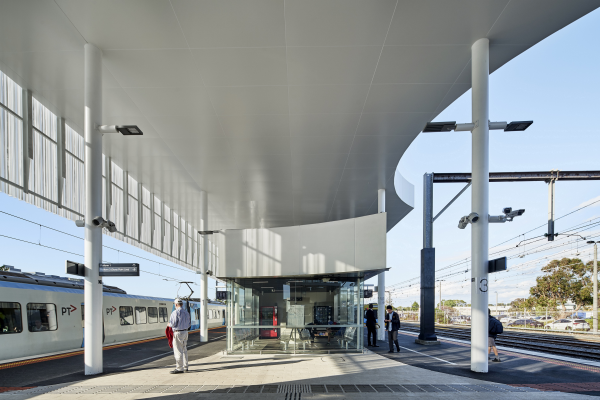 ●	Multi-functional Design Elements – using creativity and innovation to turn functional/standard elements, such as the station canopy and station entry, into architectural icons. ●	Material Strategy – selected for reference to the local coastal landscape, durability and low ongoing maintenance, as well as high-quality appearance. ●	Pre-fabrication – the site was predominantly live throughout the duration of construction. To accommodate this, the station buildings and elements were largely designed for pre-fabrication off-site and subsequent onsite-only assembly minimised disruption to the travelling public. ●	On-Platform Planting – Frankston Station is the first station to have on-platform planting that references and enhances endemic coastal landscape. ●	Consultant/Stakeholder Collaboration – the station was delivered in an alliance structure. In order to push the ambitious vision forward, close collaboration was employed with all stakeholders very early in the design process. This enabled the sharing of ideas and a reduction in the number of design iterations, providing both cost and time-effective. 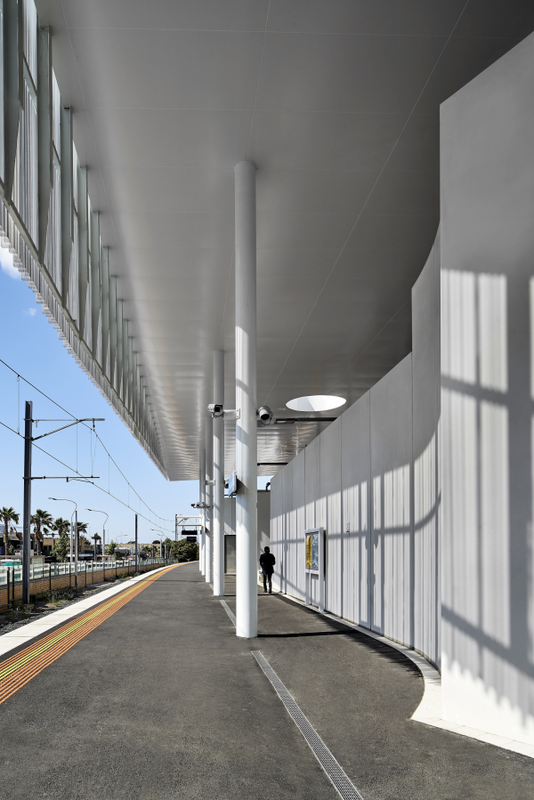 Frankston Station is a standout design project because it successfully challenges the traditional rules placed on station design. The result is a multi-faceted, multi-purpose community icon. Frankston Station creates an enhanced commuter experience for those travelling both frequently and infrequently. It welcomes those arriving and leaves those departing with a clear reminder of where they’ve been. Frankston Station is also an embodiment of local culture, topography and civic pride - rejuvenating the heart of Frankston. 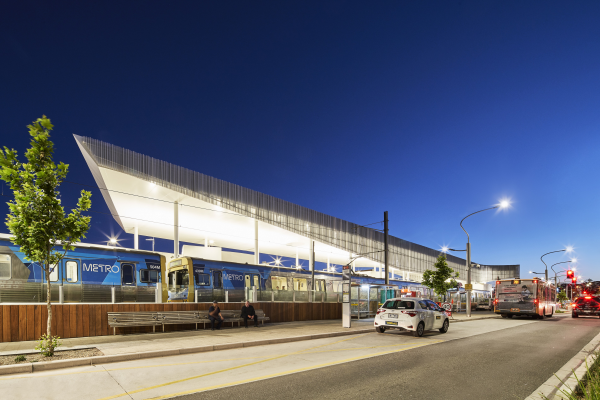 The design of Frankston station demonstrates a holistic approach to sustainability by engaging with environmental and economically-sustainable practices. The canopy and screen provide shading and passive ventilation and the structural capacity for provision of solar. Careful selection of materials has reduced the embodied energy and associated emissions. Drought-resistant on-platform planting promises low-maintenance durability, while also improving aesthetics. Much of the station was pre-fabricated off-site, allowing for time-efficiency that ensured minimised disruption. The design also anticipates future stages to minimise destruction of current works. The station drainage has considered the impacts of climate change and has included a detention tank to minimise flooding in future extreme weather events. Efficiency is a theme throughout the station, with high-efficiency LED lighting selected and water-saving fittings used throughout. The Station will receive an Infrastructure Sustainability Council of Australia rating and is in the process of being certified for an ‘Excellent’ rating.